But nothing seems to be going in the fate of Hrithik Roshan after seeing the verdict of the audience on Mohenjo Daro. His two films, Krrish 3 and Bang Bang did good at the box office. After giving 3 consecutive good business flicks to Bollywood, the environment doesn’t seems to be in favour of the Bollywood star. The week was good for Mohenjo Daro but much better for Akshay Kumar’s Rustom. On the one side, Hrithik Roshan’s film was not able to cross mark of 10 crore rupees during the entire week, Rustom must have earned much better on weekdays. The worst thing about getting failed on box office is, audience starts rejecting you even if you lose by one point. The clash between the two most talked about films was not good for either of the movie. Where Rustom couldn’t get its best ever launch period at the box office, Mohenjo Daro collection suffers like anything. Mohenjo Daro collection remains ahead during the whole day, next day. The response was little poor from urban areas, but good occupancy was observed in Rajasthan and Uttar Pradesh. Film earned 9.60 crore rupees net. As its 2nd-day box office collection. The growth was marginal but a sign that film is not going to be a flop, at least on box office. During the 5th day, the earnings dropped with a big gap. More than 50% drop on the weekday is not good for any Bollywood film. As fickle fell 75% earning only 3.10 crore rupees net figure, It would be hard to say how much time it can be on screen. On 6th Day, film dropped a bit more and ended up earning only 2.5 crores as box office collections. On the 7th day, which was also a festival. Mohenjo Daro collections again came up with a hope that something positive could happen. The movie was successful in earning an awesome figure of 5.6 crore rupees, which is great for a talkie which had lost almost every hope. 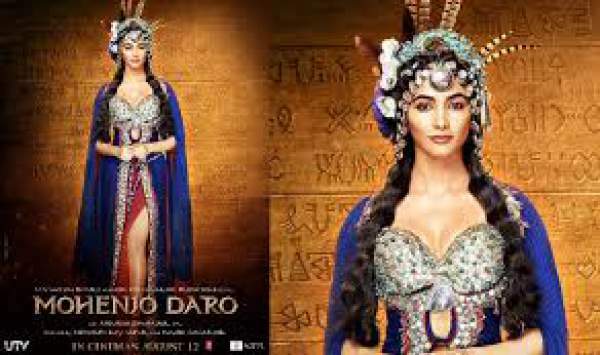 The overseas reports are positive and strong as Mohenjo-Daro had already earned 20 crore rupees from the international market.